SEQUEL ViewPoint requires OLE DB Provider to establish a connection from the PC to the System i. OLE DB Provider is a component of Data Access (iSeries Client Access) selective install. This docu- ment describes how to install and test OLE DB Provider. On your PC, select Start\Programs\IBM iSeries Access\Selective Setup. When the Selective Setup window displays, click Next to display the Setup Options window. Specify the source directory from which to install the components or click the Browse button to select a source directory. The OLE DB Provider is located in the Data Access component. Click Next to complete the install. On your PC, select Start\Control Panel\Programs\Programs and Features. Find IBM i Access for Windows and click on the Change button or right-click and select the Change option to run the InstallShield Wizard. When the InstallShield Welcome displays, click Next to display the Setup Options window. In the InstallShield Wizard, click on Modify to change which program features are installed. CWBZZ5028 - An internal error occurred and resulted in return code ‘32325’. Unable to connect us- ing the iSeries Access OLE/DB provider. You can test the OLE DB Provider installation using one of the following methods. 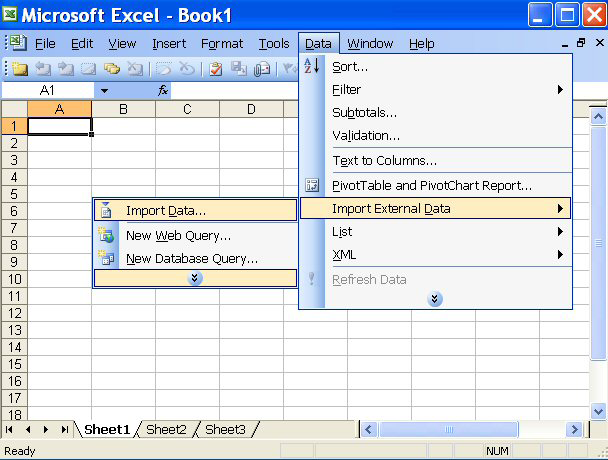 From the menu, select Data\Import External Data\Import Data…. The Select Data Source window displays. 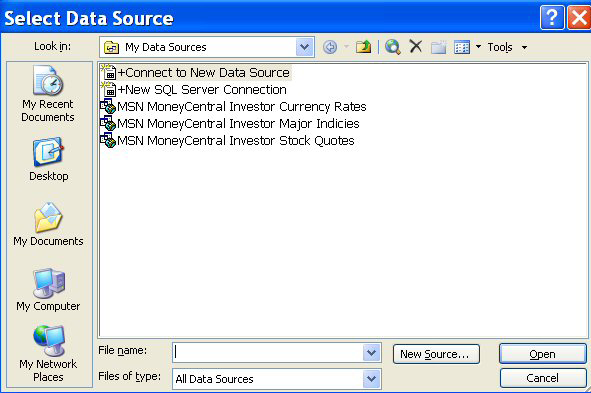 On the Select Data Source window, click the New Source button to start the Data Connection Wizard. 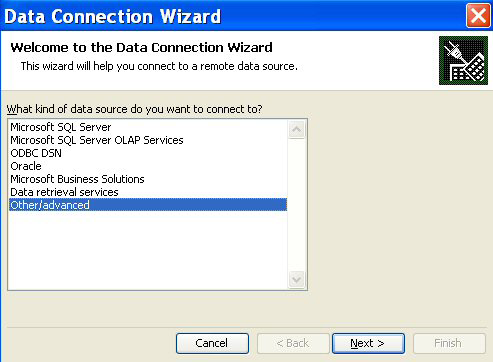 In the Data Connection Wizard, select Other\Advanced from the list of data source types and click Next to display the Data Link Properties window. The Data Link Properties window displays with the Provider Tab selected. 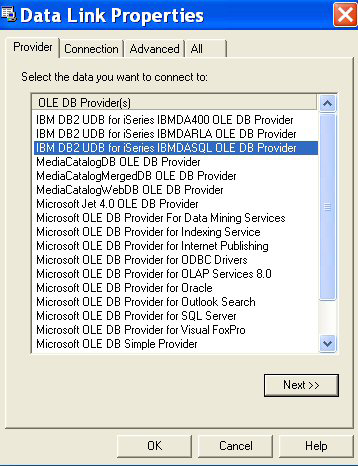 In the list of Providers, select IBM DB2 UDB for iSeries IBMDASQL OLE DB Provider and click Next. Note: If you do not see this in the list of Providers, it means that the iSeries Access OLE DB Provider is not installed properly. The Connection Tab on the Data Link Properties window displays. Enter the name of your System i in the Data Source field and click the Test Connection button. 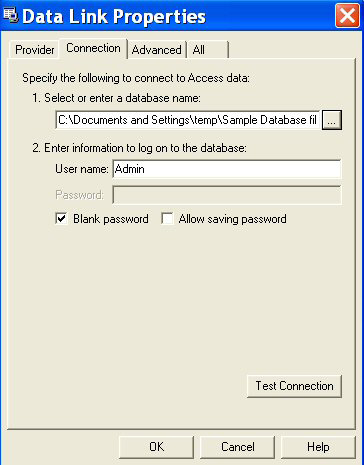 If the connection is successful, the Microsoft Data link dialog displays with the following message. This means that SEQUEL ViewPoint should work. If the connection fails, a failure message displays in the dialog box. The next test will determine if the problem is the IBM OLE DB provider or the Microsoft Data Access Components (MDAC). Close the connection failure dialog and re-select the Provider tab. 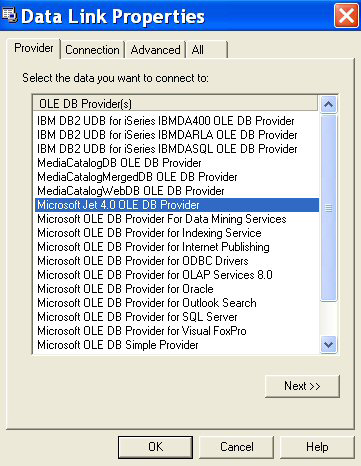 In the list of Providers, select Microsoft Jet 4.0 OLE DB Provider and click Next. 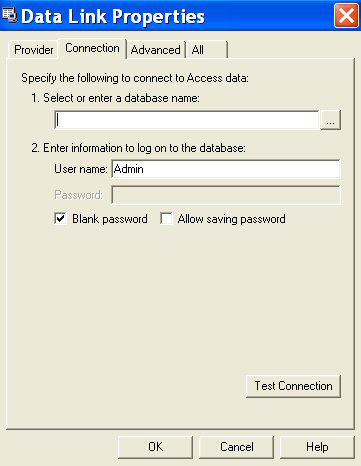 When the Connection tab on the Data Link Properties window displays, click the Browse button to display the Select Access Database window. 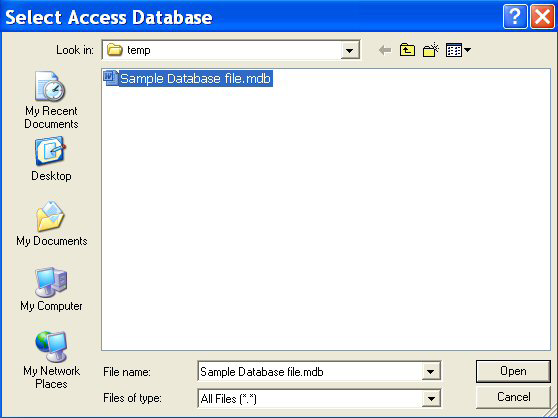 Using the Select Access Database window, locate a database file. Select the file and click Open. The Data Link Properties window redisplays with the database file you selected in the Select or enter a database name field. Click the Test Connection button. If the test succeeds, the problem is with the IBM OLE DB provider. If the test fails, the problem is with the MDAC. Contact Microsoft for further assistance. 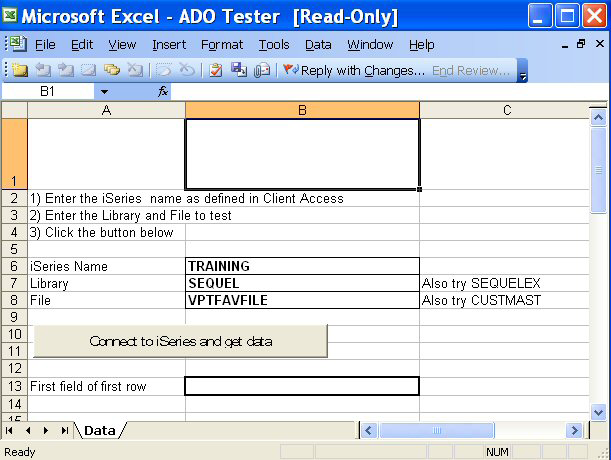 The Excel ADO_Tester spreadsheet helps you determine if the ADO\MDAC\iSeries Access OLE DB Provider is installed and functioning properly. You will have to contact a SEQUEL software support representative to obtain this spreadsheet. Open the ADO Tester.xls file in Excel. 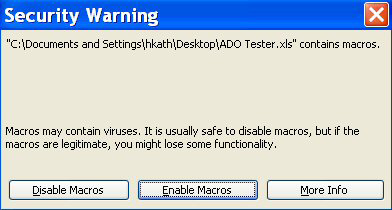 When the Security Warning window displays, click Enable Macros. The following window also may display. You can click either Yes or No since you will not be making any changes to the spreadsheet. When the ADO Tester spreadsheet opens in Excel, enter a system name, library name, and file name. Then, click the Connect to iSeries and Get data test button. If the connection test using ADO failed, follow the instructions for testing the OLE DB Provider Using Excel, earlier in this document. Or, contact Microsoft for additional assistance. You can find additional SEQUEL ViewPoint requirements and installation steps in the ViewPoint User Guide.